An impression from an Islay walking week a few years ago. 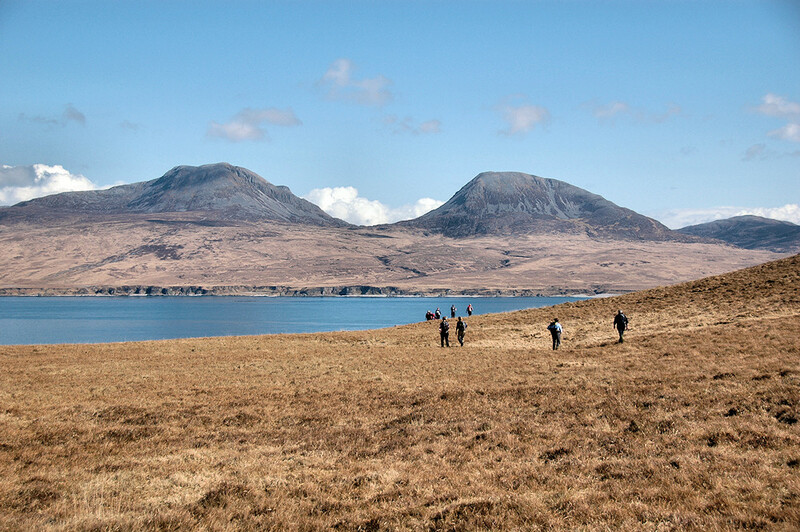 On the homeward leg of a long walk around the north of Islay walkers approach the Sound of Islay with the dramatic backdrop of the Paps of Jura. This entry was posted in Landscape, Repost, Sunny Weather and tagged Islay, Paps of Jura, Rhuvaal, Sound of Islay by Armin Grewe. Bookmark the permalink.